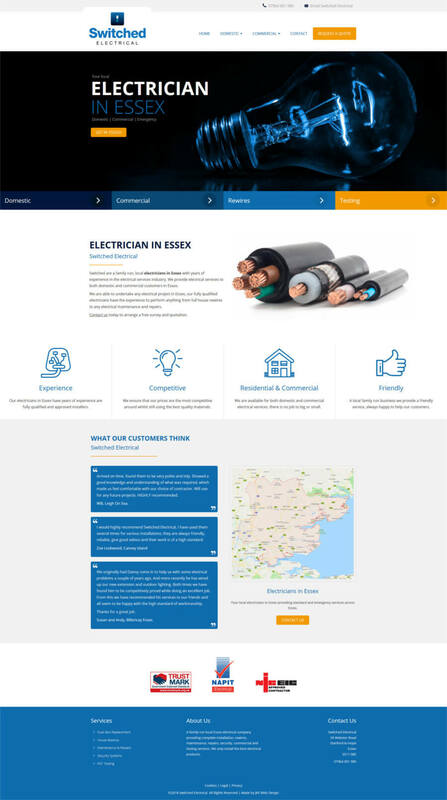 Switched Electrical are an Essex based family run electricians with years of experience in the electrical services industry. 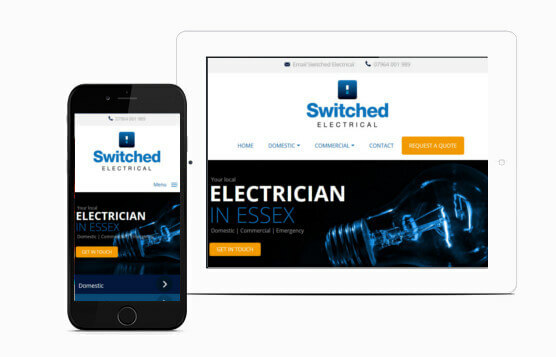 Switched Electrical wanted a website to establish an online presence for their business. An attractive design was needed to promote all the services offered. We started from scratch with this one creating a brand new logo and designing the website to ensure that it was full of content about all the services provided. Each page was carefully keyword targeting to ensure it would be in with a chance of performing in the search rankings.